Keratin straightening treatments have become a popular option for people that regularly straighten or relax their hair. Unlike using a straightening gel or other commercial hair relaxants, keratin treatments last for a long time, without damaging your hair. If you are tired of dealing with frizzy hair, discover the basics of keratin hair treatments. How does keratin treatments work? Keratin is a protein that is naturally found in your hair. A lack of this protein can lead to dry or damaged hair while having additional keratin strengthens and relaxes your hair. This makes it is easier to straighten your hair and keep it straight. When you visit a salon for a keratin hair treatment, the stylist will apply the keratin, typically using a specially formulated keratin product. Once the keratin product is in place, the stylist will use a flat iron to help seal the keratin into your hair. An average session should last about 90 minutes. Why should you use a keratin treatment? Repeatedly using hair tools, such as a flat iron or a blow dryer, to style your hair can cause unnecessary damage. Keratin will help keep your hair healthy while limiting the amount of time you need to spend treating your hair. 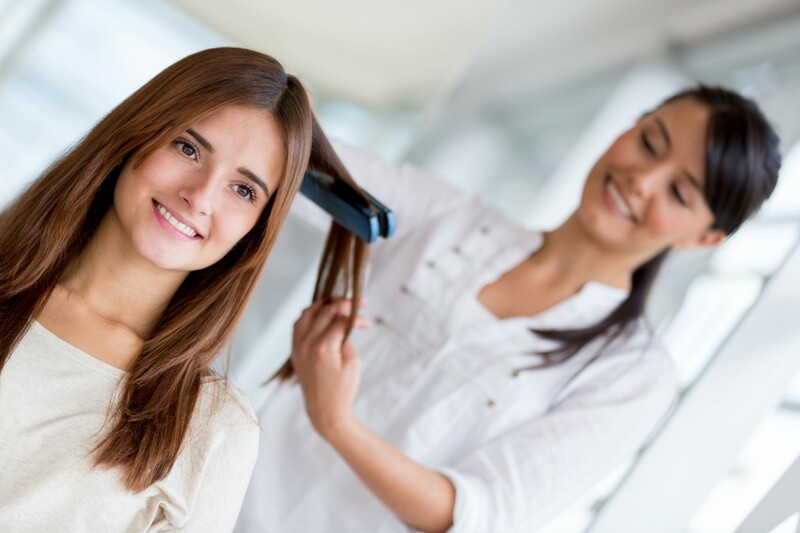 After a keratin treatment, you should be able to dry your hair in about your usual time. These treatments will also eliminate frizz, even in light rain or drizzle. Though, the greatest benefit is that the treatments usually last two months or longer. What else should you know about keratin treatments? After treating your hair with keratin, you should avoid washing your hair for several days. It takes up to four days for the full effects of the keratin to work. Keratin treatments are suitable for anyone, especially those that are tired of dealing with straightening their hair every day while getting ready in the morning. Save time and heal your hair with a keratin treatment.